The blue resin gems, removed from the paint tray mold. 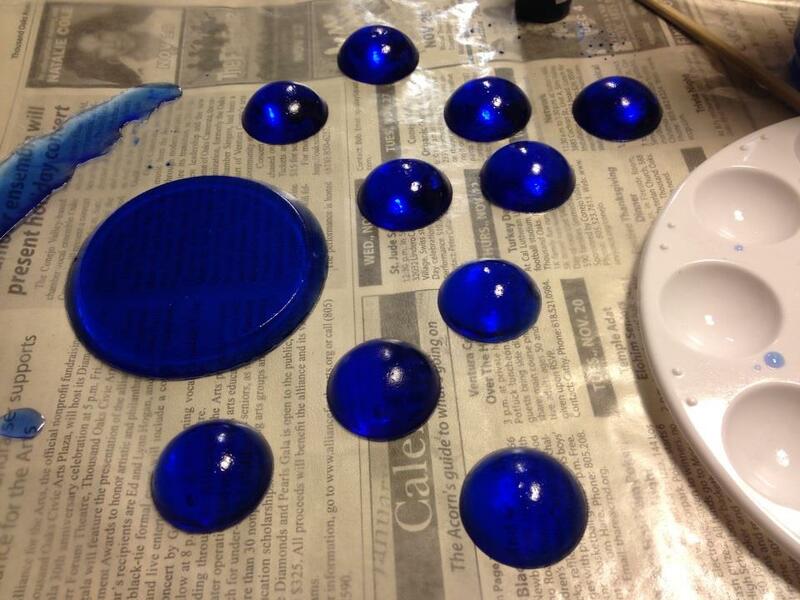 They will need a little sanding to smooth the out, but I am quite pleased with the results. 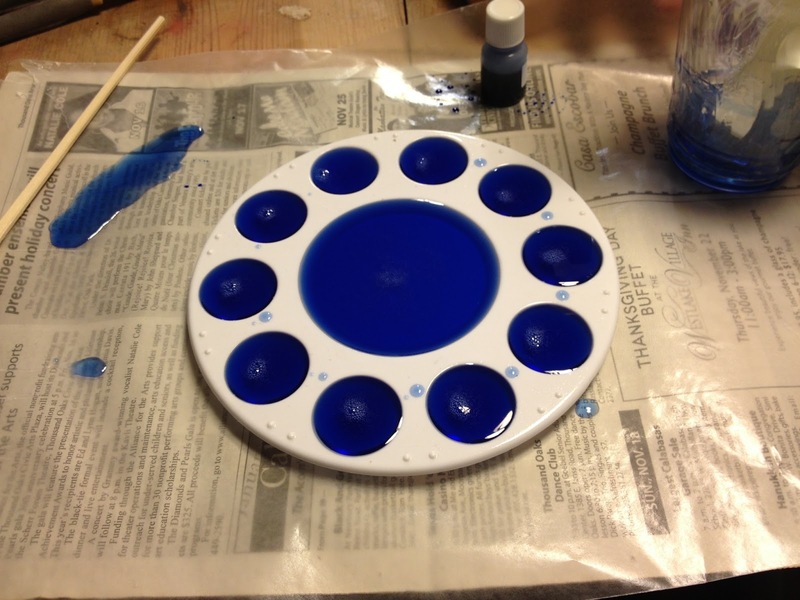 The center of the tray produced the larger blue disk. Here a paint tray serves as the mold for creating the gems for Varian Wrynn's shoulder armor. (4 on each) There was some resin left over, so I poured it into the center of the tray. 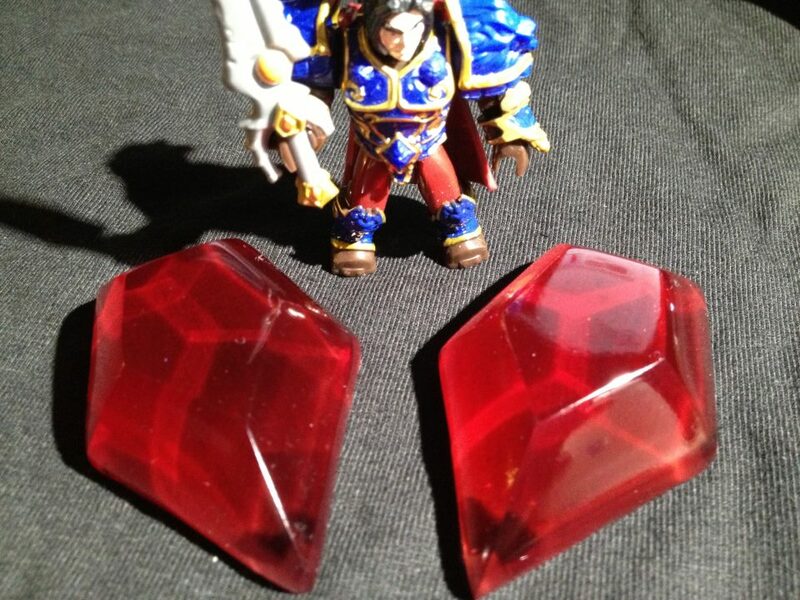 Mega Blok Varian Wrynn inspects the red gems created for Shalamayne's hilt.